I have developed a phobia for manicures! It doesn’t matter where I go or who does them, I end up with bleeding cuticles that sting and burn long after the manicure is over. They say my cuticles are sensitive, but I think they are cutting them far too low. I once had one of my cuticles cut so badly it wouldn’t stop bleeding and I had to put my finger in a cup of water! Anyway my point being, I have now come to the conclusion that I have to take care of my own nails from now on. These products are all you need for the perfect nail upkeep. 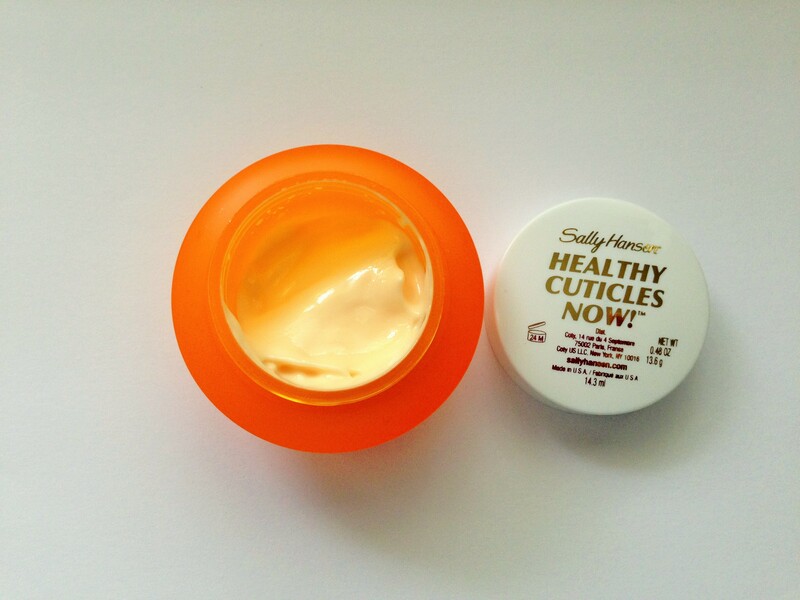 I just picked up Sally Hansen Healthy Cuticles Now! as I’ve heard great things about it. The hype is real, it works like magic. 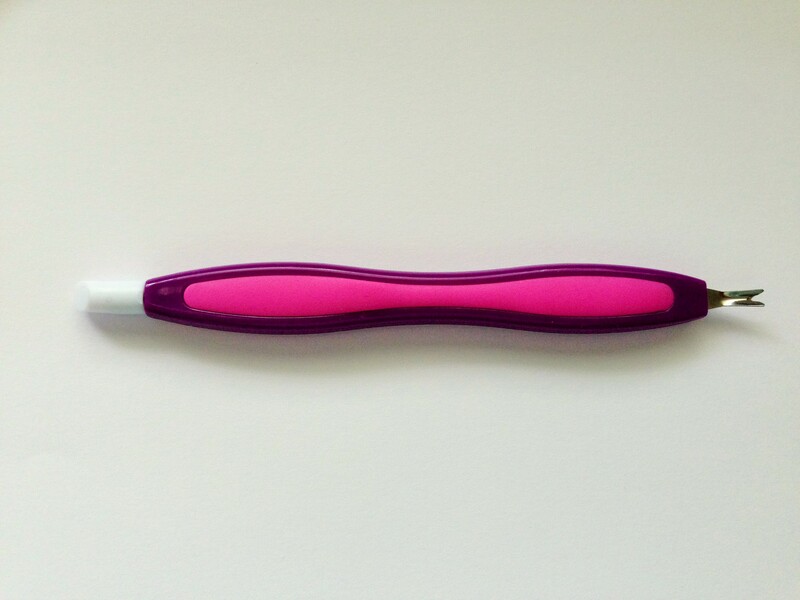 It softens cuticles enough so that you can push them back gently and with little effort. It also conditions and strengthens nails. This is just what I needed! My cuticles are horrifically dry even though I use hand cream literally all the time. The next instrument is so simple yet effective. On one side you have the rubber tip that loosens stubborn cuticles and on the other end there is a sharp v-shaped blade that safely and quickly trims excess cuticles and hangnails. Lastly my most favourite, can’t live without, Nail Envy by O.P.I. 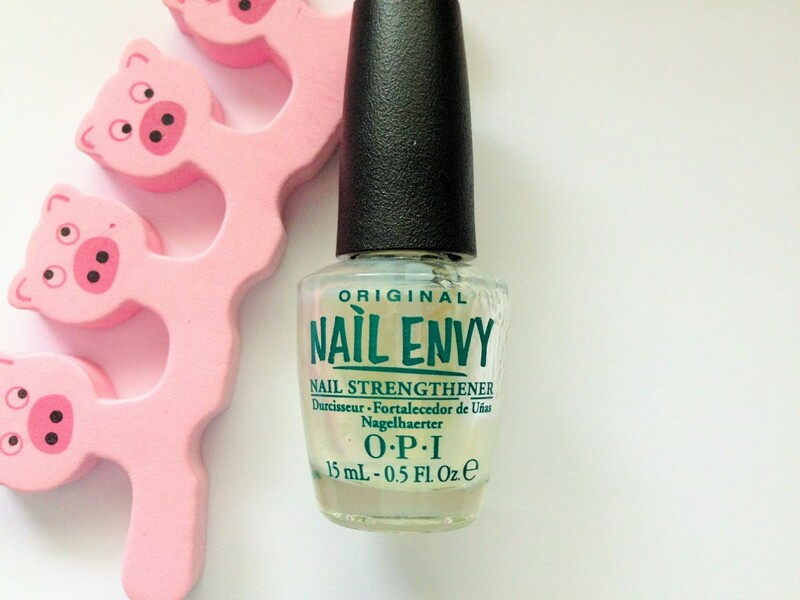 This is a nail strengthener which really works and has dramatically improved my weak nails. You apply two coats and then one coat every other day. You can wear it alone or under nail polish. Do you have regular mani/pedi’s? or do you prefer to do your own?